WineGB has commissioned the largest grower survey of yield and production ever undertaken in the UK. The project is funded by a legacy from the International Cool Climate Wine Symposium, which took place in Brighton in 2016. 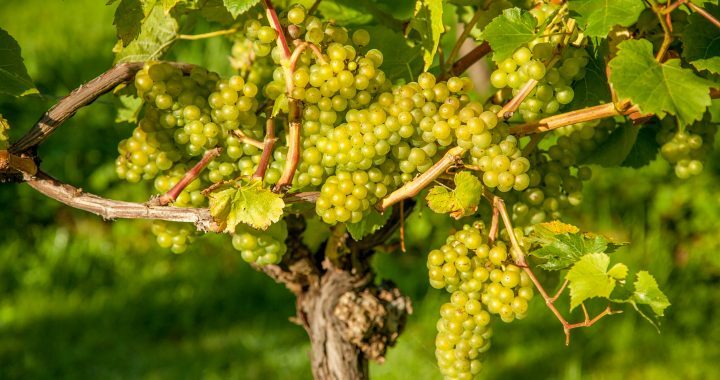 The WineGB Yield Survey will provide data to show the UK’s vineyard production potential, which will allow better targeting of industry development initiatives such as R&D, market development, public policy measures and public/private investment. There is also potential for the results to be used by participating vineyards in order to benchmark their performance against anonymised regional data. The project is being led by Jim Newsome of Veni Vidi Viti Ltd. and assisted by Stephen Skelton MW, the well-respected UK viticulturalist who is providing oversight on behalf of WineGB. Peter Hayes, an Australian viticulturalist who has a longstanding relationship with the UK, will also support the project. Peter has a deep understanding of the unique growing conditions in the UK and has worked with WineGB and the WineSkills training programme in the past, not to mention his many high-profile international roles. The data will be collected through an online survey designed by Wine Intelligence. The survey will include a series of questions about the vineyard and its environment, e.g. planting density, altitude, the planted area of individual varieties, yields and performance data. Confidentiality is fundamental to contributor and respondent confidence and Wine Intelligence Ltd will bring their expertise at data-gathering and strict confidentiality protocols to the project. Yield variability is a tremendously complex issue and this survey is an important step on the journey to understanding yield in the UK. With the support of the growers, who will gain the benefits, it is the start of a journey towards improving that understanding. This project will provide foundation data that can be built upon year on year to become a regular part of WineGB’s service to growers. “I am confident that there is enough goodwill in the industry to get some really good data about the factors that help determine yields: is it region, county, altitude, aspect, vine density, pruning type, variety or management?” said Stephen Skelton, UK viticulturalist. “When we have gathered the data, WineGB will publish a report which will give a broad outline of the results and their importance. Growers who participate in the study will also be given access to more detailed data which could potentially include some benchmarking information for their own vineyards – if growers put the effort in to participate, we will reward them as best we can,” said Jim Newsome, project leader. “This initial survey is intended to be the foundation for future development of an industry-owned database and to provide a valid launch point for a diversity of other ongoing initiatives. Assuming reasonably universal contributions from growers, it’s anticipated that the information and knowledge generated, along with the data analysis, will provide enhanced confidence in the scale and stage of development of the industry,” commented Peter Hayes. The live Survey will be launched at the WineGB Viticulture Technical Conference 2018 at Denbies Wine Estate on the 22nd November, 2018.